Dubai: English Premier League team Arsenal got down to immediate business with a light mid-afternoon training session at the Nad Al Sheba (NAS) Sports Complex on Friday. 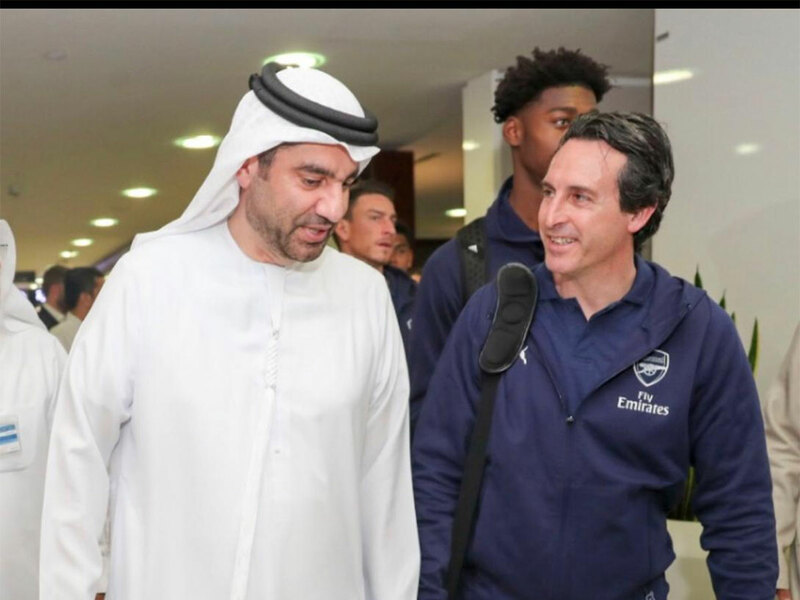 Coach Unai Emery landed with most of his squad at Terminal 3 of the Dubai International Airport on an Emirates flight late on Thursday. After a late breakfast, the team proceeded from their hotel in the Dubai International Financial Centre (DIFC) region to the NAS facility, where they trained for an hour and a half. Arsenal is scheduled to play a friendly against Al Nasr to formally open the Dubai side’s newly built Al Maktoum Stadium at 5.30pm on Tuesday. Emery is using the weeklong training camp to prepare his team for the remainder of the season starting with the Premier League match against Newcastle United on April 1.